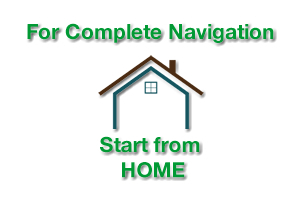 • IBM Teams with 500 Universities in India in First-of-a-Kind Faculty Development Program. • Students in China, India, Northern Ireland and Scotland Studying How Analytics Applies to Industries. 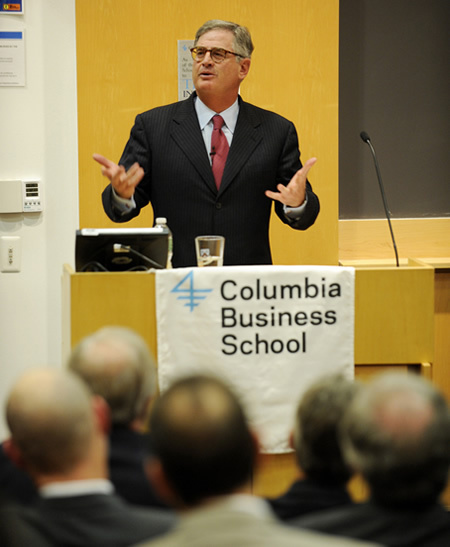 Photo: On Nov. 2, 2011 at Columbia University in New York City, IBM Chairman and CEO Samuel J. Palmisano discusses the lessons IBM learned over its past 100 years, in a speech commemorating the company’s Centennial. 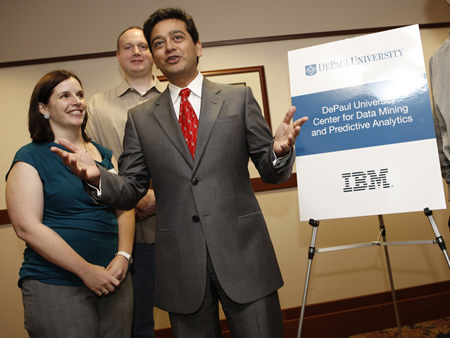 Photo: In collaboration with DePaul University, Deepak Advani, right, VP of Predictive Analytics at IBM, unveils the Center for Data Mining and Predictive Analytics, with graduate students Mary Jo Zefeldt, left, and Jonathan Gemmel, in Chicago. • To address a growing market demand for analytics savvy graduates, IBM is working with universities around the world to bring advanced analytics training directly into the classroom. The company is expanding its academic initiatives for business analytics with new programs in China, India, Ireland and Scotland, helping students keep pace with today’s competitive job market by gaining skills in this fast-growing field of technology. Everyday people create the equivalent of 2.5 quintillion bytes of data from sensors, mobile devices, online transactions, and social networks; so much that 90 percent of the world’s data has been generated in the past two years. This amounts to more data than organizations can effectively use without applying analytics. The new programs are providing students and faculty members, regardless of their course of study, with access to the latest software capabilities and thinking on how advanced analytics can be applied to tackle complex business and societal challenges. 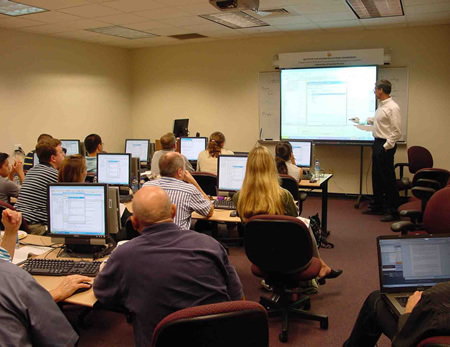 Photo: Members of the University of Central Florida’s Institute for Advanced Systems Engineering gain hands-on experience with IBM’s most popular systems engineering software as they prepare for careers creating the smart cities, healthcare systems and advanced products and systems of the future. Photo: TOP: In 1986, IBM scientists Heinrich Rohrer (left) and Gerd Binnig (right) of IBM’s Zurich Research Laboratory were awarded the Nobel Prize in Physics for their invention of the scanning tunneling microscope. (Image courtesy of IBM Research) BOTTOM: In its centennial year, IBM is looking to the future at the opening of a new nanotechnology research center in Zurich, Switzerland on May 17, 2011. IBM Fellows and Nobel Laureates Drs. 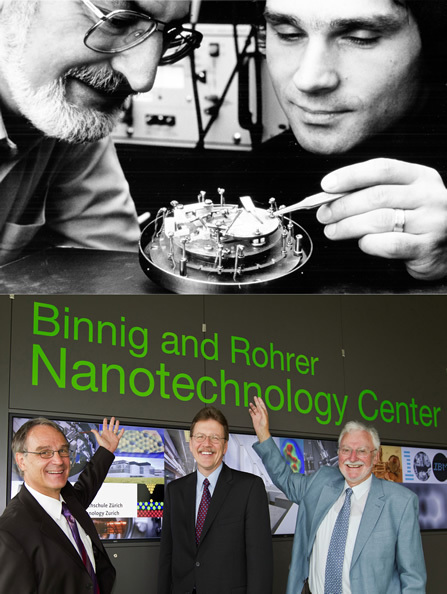 Gerd Binnig (left) and Heinrich Rohrer (right), whose pioneering work paved the way for the study of nanoscience, join IBM Research Senior Vice President Dr. John Kelly III to inaugurate the center, a joint collaboration with university partner — ETH Zurich (Swiss Federal Institute of Technology, Zurich) — an engineering, science, technology, mathematics and management university in the city of Zurich, Switzerland. According to the 2010 IBM Institute for Business Value and MIT Sloan Management Review study of nearly 3,000 executives worldwide, the biggest challenge is the lack of understanding in how to use analytics to gain insights that can improve business outcomes. In response to market demand, universities are incorporating analytics curricula and courseware into a variety of degree programs to educate college students in this growing field. • In India, IBM is working with faculty members from 500 universities to help more than 30,000 students develop skills in predictive analytics. As part of the program, IBM will conduct a series of training programs with business school faculty concentrating on predictive and business analytics, in 15 major cities throughout the country of India. The faculty members will complete a certification process in analytics at the end of the program. Once certified they will begin to teach students about how analytics can be applied to their topic of study. The learning will involve access to predictive analytics technology and will focus on how to act on the results the analytics technology uncovers. These universities join schools around the world including Northwestern University, Yale School of Management, Fordham University, DePaul University, University of Southern California and University of Ottawa Telfer School of Management, that are working with IBM to develop and implement undergraduate and graduate curriculum and training on business analytics. “Through IBM’s Academic Initiative, universities are adding analytics to their course offerings, establishing new degree programs and now we are seeing an acceleration in global demand for training in analytics,” said Jim Corgel, general manager of IBM’s Academic Initiative. According to IBM, through its Academic Initiative, it is making its software, courseware and curricula available to nearly 6,000 universities and more than 30,000 faculty to advance technology skills. In order to respond intelligently to the needs of their growing populations, city infrastructures that deliver vital services such as transportation, healthcare, education, public safety, energy and water, must rely on a wealth of new information and technologies. 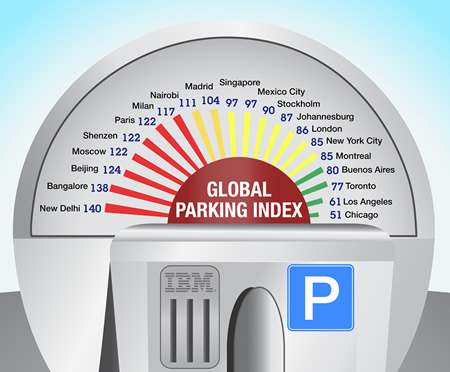 IBM today announced that it has created a Smarter Cities Exploration Center in collaboration with the University of Guadalajara, Mexico. 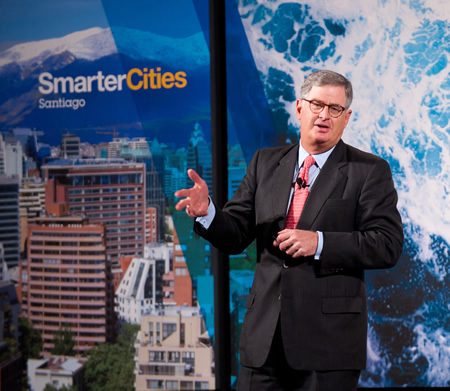 The Center will design solutions to tackle infrastructure challenges faced by Guadalajara and other cities around the world. Guadalajara is Mexico’s second largest city and the University of Guadalajara is an educational community with more than two hundred years of history. 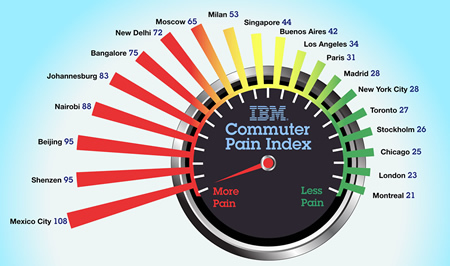 According to IBM, the center has already started the development of a transportation pilot that could reduce commuting time in the city by 15%, representing approximately US$ 90 million in savings per year by enabling citizens to use their time more productively and decrease carbon emissions. The company and the University will share knowledge through the exchange of intellectual property among doctoral students and researchers. The use of IBM’s data analytics, supercomputing and cloud computing capabilities would drive the development of new pilots and solutions, IBM said. 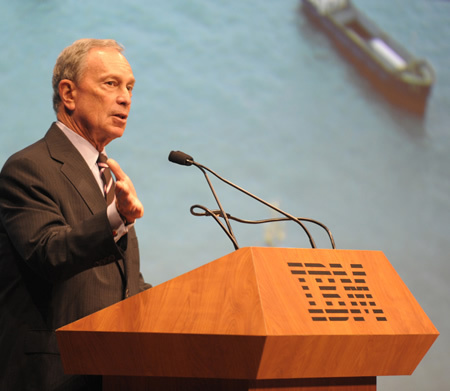 • Meanwhile, Meredith Hannon, IBM’s spokesperson at its headquarters in Armonk, New York, has explained to the GlobalGiants.Com Publisher that IBM does business with and works on a number of efforts with universities and diverse other academic institutions all around the globe. But the establishment of this Smarter Cities Exploration Center in Mexico is its first such collaboration with any university in the world. Barcelona were crowned FIFA Club World Cup winners when they thrashed Brazilian side Santos, 4-0, in Japan. • The win confirms Barcelona’s standing as the best club team in the world. The match between the European and South American champions in Yokohama had been billed as a showdown between Messi, widely acknowledged as the best player in the world, and Brazilian star Neymar. But it was no contest - with Messi the star of match - and named the tournament’s most valuable player - as Barcelona won the competition. “Barcelona deserved to win. They are the best team in the world and we learned an important lesson,” said Neymar of Santos, Brazil. • Futbol Club Barcelona (English: Football Club Barcelona), also known as Barcelona and familiarly as Barca is a professional football club, based in Barcelona, Catalonia, Spain. 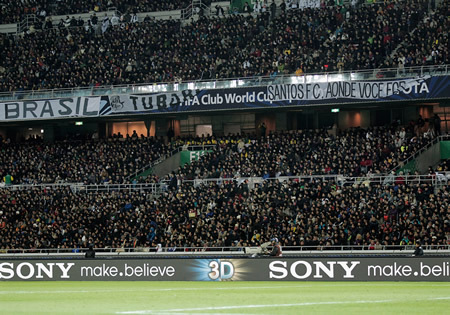 While Santos Futebol Clube also known as Santos is a Brazilian professional football club based in Santos, Sao Paulo, Brazil. 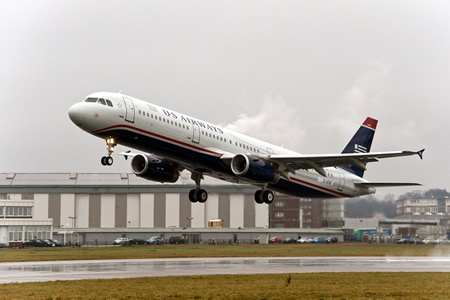 Airbus delivered today its 7,000th aircraft, an A321, to US Airways, from the Airbus facility in Hamburg, Germany. The 1,000th Airbus delivery was an A340-300 that went to Air France in 1993. Airbus’s 5,000th aircraft, an A330-200, was delivered to Qantas in December 2007. 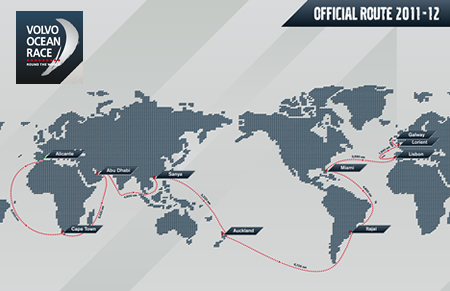 The 6,000th Airbus was an A380 which was delivered to Emirates in January 2010. 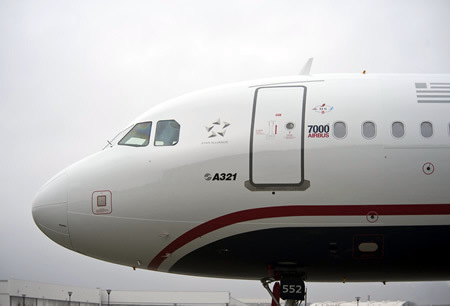 “It’s particularly fitting that our 7,000th aircraft is an A321 going to US Airways. The airline not only operates the largest fleet of Airbus aircraft in the world; with over 220 A320 Family aircraft flying in US Airways colors today, they also operate the largest fleet of our best-selling, eco-efficient A320 Family,” said Tom Enders, Airbus President and CEO. Aircraft belonging to Airbus’s A320 family are in use by more than 340 airlines and operators worldwide. Headquartered in Toulouse, France, Airbus is owned by EADS, a global leader in aerospace, defence and related services. This group - which is comprised of Astrium, Cassidian and Eurocopter, in addition to Airbus - has a presence on every continent, and employs a total workforce of more than 119,000. A review of the performance of universal postal service providers (USPs) in the world’s G20 group of nations, published today by Oxford Strategic Consulting (OSC), has found that the United States Postal Service (USPS) achieved the best overall ranking among operators. The benchmark examines performance over three years against three key metrics - access to vital services, resource efficiency, and performance and public trust. 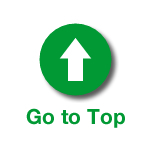 Universal providers are seeing strong competition from private companies and a continual slide in mail volumes, with the move towards digital communications. Volumes have fallen in many countries - as much as 17% in the US since 2006. 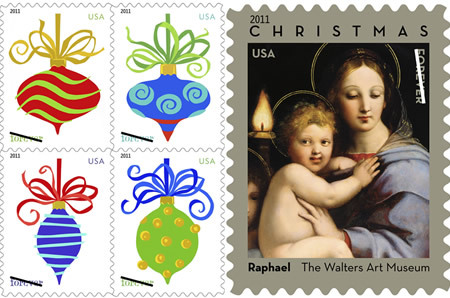 The United States Postal Service (USPS) came top due to its high operating efficiency and public faith in its performance. 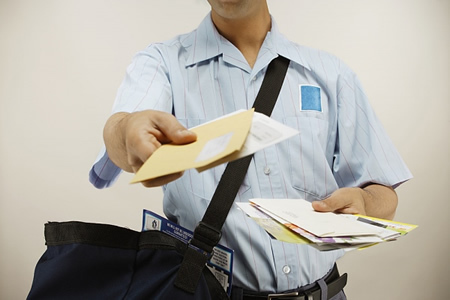 The government agency handles over five times more letters per full-time delivery employee than Germany’s privatized provider, Deutsche Post (5th). 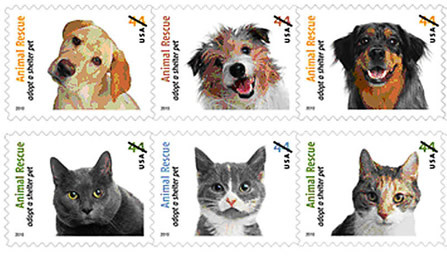 For many remote customers, especially in emerging markets, the post office is the only viable means of receiving or sending goods. 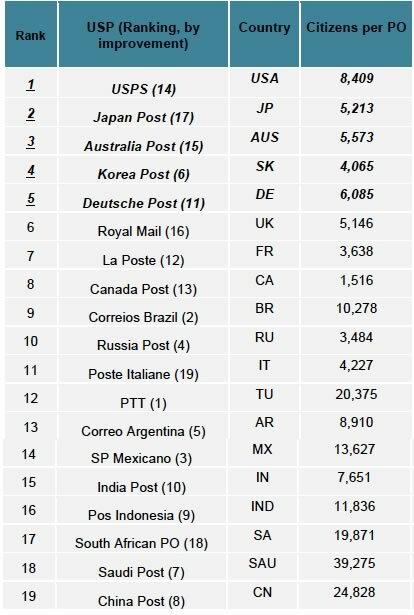 Japan Post (2nd) and Korea Post (4th) performed well on all counts, while Australia Post (3rd) was strong on both efficiency and access. The UK’s cost-cutting Royal Mail (6th) edged out France’s La Poste (7th) with double the efficiency in letter delivery. Italy’s Poste Italiane (11th) saw declines in performance and efficiency, causing it to fall behind Russia Post (10th) - which improved its performance faster than any developed country operator. India’s India Post made slight improvement while Turkey’s PTT was the most improved. 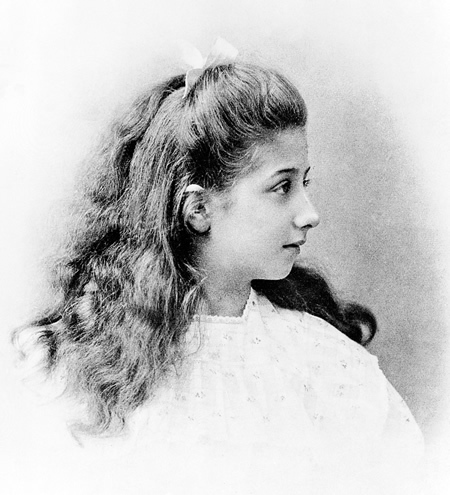 Photo: Mercedes Jellinek aged 11, daughter of Emil Jellinek. Emil Jellinek was a wealthy European entrepreneur who sat on the board of Daimler-Motoren-Gesellschaft (DMG) between 1900 and 1909. Initially, he chose the first name of his daughter as a pseudonym for his own involvement in vehicle racing. Later, Jellinek specified an engine designed by Wilhelm Maybach and Gottlieb Daimler for the first ‘modern’ car and required naming it after the first name of his daughter, Mercedes Jellinek. That Mercedes 35hp model contributed to the brand name Mercedes-Benz, developed in 1926, which is now one of the most distinguished car brands in the world. 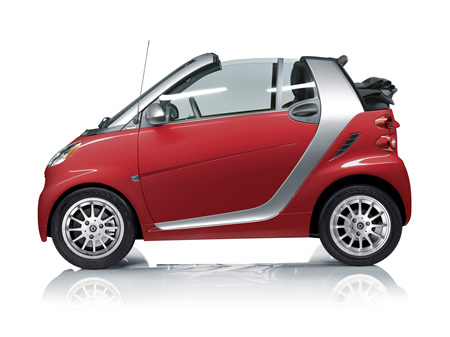 Photo: Mercedes-Benz’s small car — 2011 smart fortwo Passion Cabriolet. 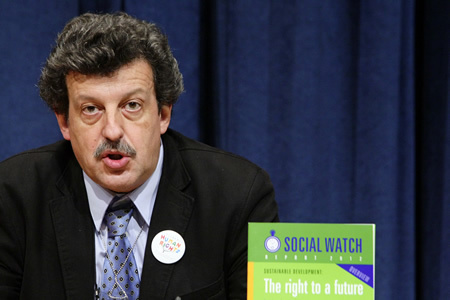 Photo: Roberto Bissio, Coordinator of Social Watch, briefs on “Civil Society and Global Financial Regulation - The Role of the United Nations”, and his organization’s publication, “Social Watch Report 2012 - THE RIGHT TO A FUTURE”. December 9, 2011. United Nations, New York. 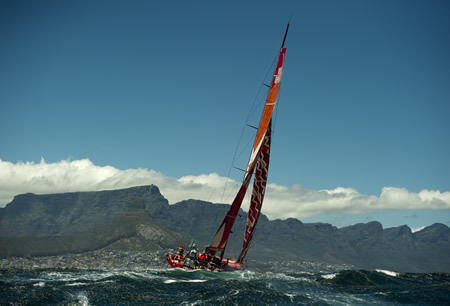 UN Photo/JC McIlwaine. 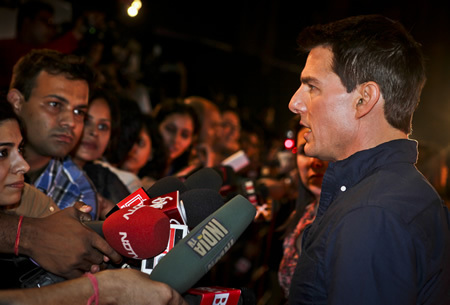 Photo: MUMBAI, INDIA - DECEMBER 04: Tom Cruise, Hollywood Actor at the red carpet of the special screening of his film Mission Impossible 4: Ghost Protocol at IMAX Theatre on December 04, 2011 in Mumbai, India. 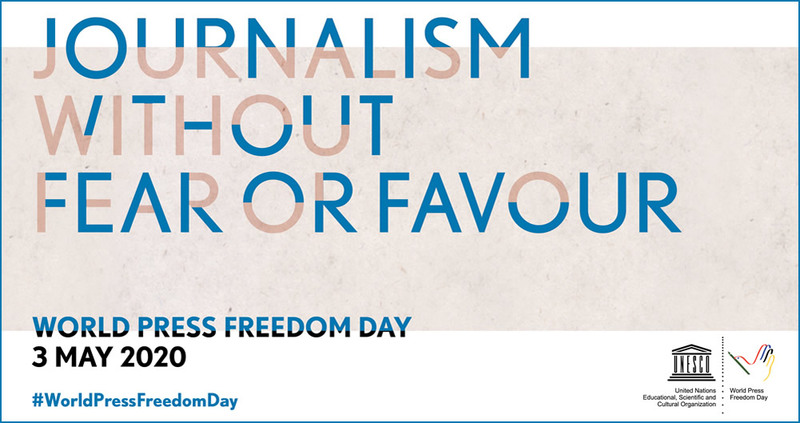 (Photo by Ritam Banerjee/Getty Images. © Getty Images for Paramount Pictures International). Photo: MUMBAI, INDIA - DECEMBER 04: Paula Patton, Hollywood Actor at the red carpet of the special screening of her film with Tom Cruise, Mission Impossible 4: Ghost Protocol at IMAX Theatre on December 04, 2011 in Mumbai, India. (Photo by Ritam Banerjee/Getty Images. © Getty Images for Paramount Pictures International). Photo: MUMBAI, INDIA - DECEMBER 04: Anil Kapoor, Bollywood Actor with Paula Patton, Hollywood Actor at the red carpet of the special screening of their film with Tom Cruise, Mission Impossible 4: Ghost Protocol at IMAX Theatre on December 04, 2011 in Mumbai, India. (Photo by Ritam Banerjee/Getty Images. © Getty Images for Paramount Pictures International). • In the action-packed spy adventure Mission: Impossible - Ghost Protocol, Tom Cruise returns in the starring role as Ethan Hunt and is joined by an international cast that includes Jeremy Renner, Simon Pegg, Paula Patton, Michael Nyqvist, Vladimir Mashkov, Josh Holloway, Anil Kapoor and Lea Seydoux. Mission:Impossible - Ghost Protocol is directed by Brad Bird and is written by Josh Appelbaum & Andre Nemec. 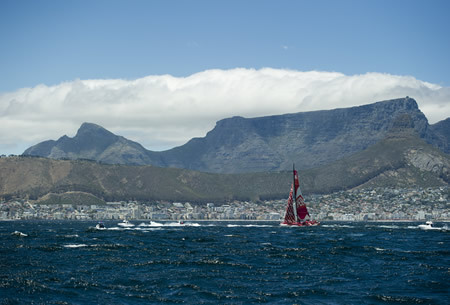 Photos: CAMPER with Emirates Team New Zealand finish leg one of the Volvo Ocean Race in Cape Town, South Africa, second behind TELEFONICA. Photographer: Chris Cameron. © Chris Cameron 2011. 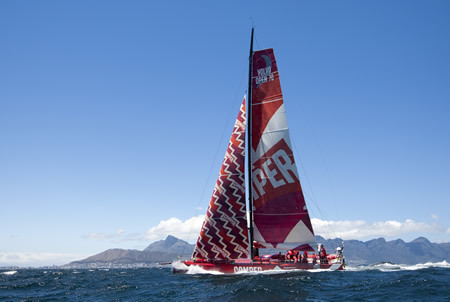 CAMPER skipper Chris Nicholson nursed his boat through heinous sea conditions overnight into Table Bay to clinch second place in Cape Town, South Africa, on Sunday after 21 days at sea. 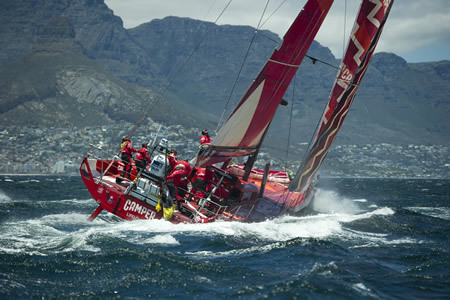 CAMPER with Emirates Team New Zealand, throttled back overnight in winds gusting 35 knots and mountainous seas, but once daylight broke, they were up to speed and screamed across the finish to take 25 points to add to their four points earned for a third-place finish in the Iberdrola In-Port Race in Alicante, Spain, on October 29. 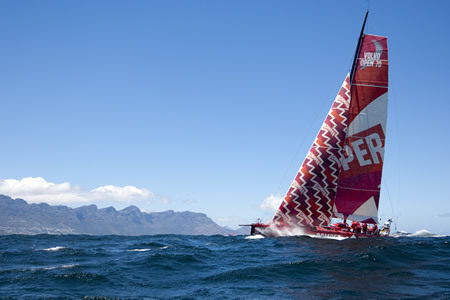 They are now in second place overall on the Volvo Ocean Race leaderboard with 29 points - two behind Team TELEFONICA who finished first on Saturday evening.